Have you ever thought about preparing to plan your wedding? (And no, I’m not talking about that wedding Pinterest board you’ve had for the last 5 years 😉). It might sound kind of strange, considering the fact that wedding planning itself has to do with preparing for a wedding day. But one of the very best pieces of advice I could give to couples is - before doing ANY type of planning - to prepare to plan. The questions below were carefully collected and crafted over years of meeting with engaged couples. Many couples aren’t sure what to expect or how to proceed with planning because they’ve literally never done it before. It’s like, you get engaged, and all of a sudden you’re supposed to know exactly what to do, how to plan, what wedding vendors cost, etc.?! I don’t think so! 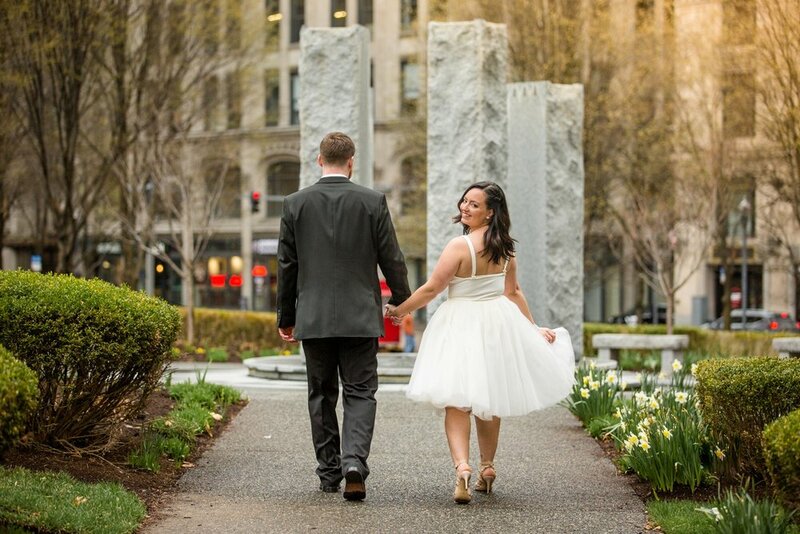 As a recent bride myself (August 2015), even with WORKING in the wedding industry while planning, I felt overwhelmed with where to start and what I should be focusing on. So today, I’m excited to share five crucial questions to discuss with your fiancé before you begin wedding planning, so that you can plan your wedding a bit more prepared! 1. What makes us excited about marriage? First things first: even though you have a wedding to plan (yay! ), it’s so important to focus on the marriage you’re working towards, not just the wedding day. Consider this your invitation to close your Pinterest browser and pump the breaks on creating your wedding website.. It might sound silly or obvious, but knowing why you are excited about marriage and why you want to get married is so much more important than any sort of budget or priorities when it comes to your wedding day. This first question is actually one of my favorites to ask couples when I meet with them at our initial consultation. In my mind, it sets a tone for talking about the wedding day: through the lens of marriage. I hope that, by starting with this question, we’re putting what really matters first and constantly pointing back towards the ultimate reason for the wedding: the marriage. 2. What are our priorities when it comes to our wedding? Let’s face it: weddings can be expensive, and sometimes a budget can force you to choose what’s most important. Knowing your priorities when it comes to vendors will help you decide where to allocate the majority of your budget. 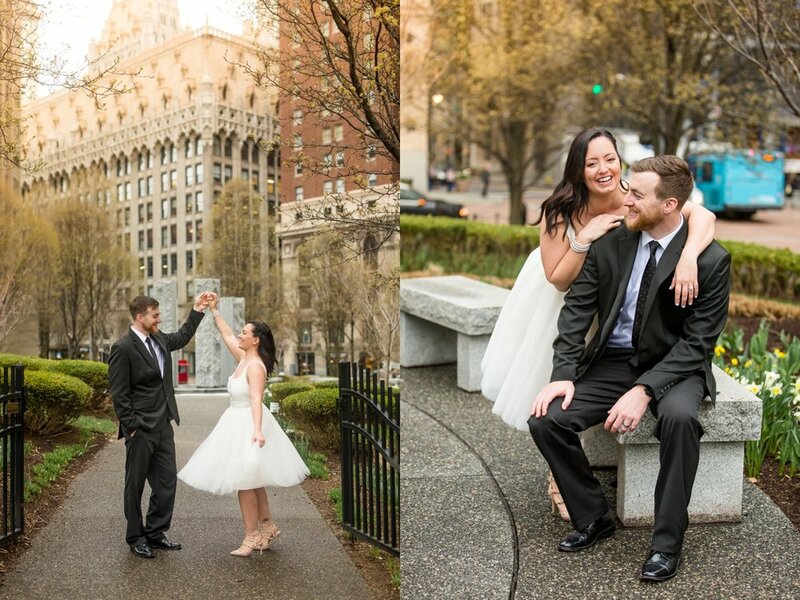 When Nick and I were planning our wedding, we decided to name our top three priorities (it might be a different number for you): the venue, the photography, and our honeymoon. 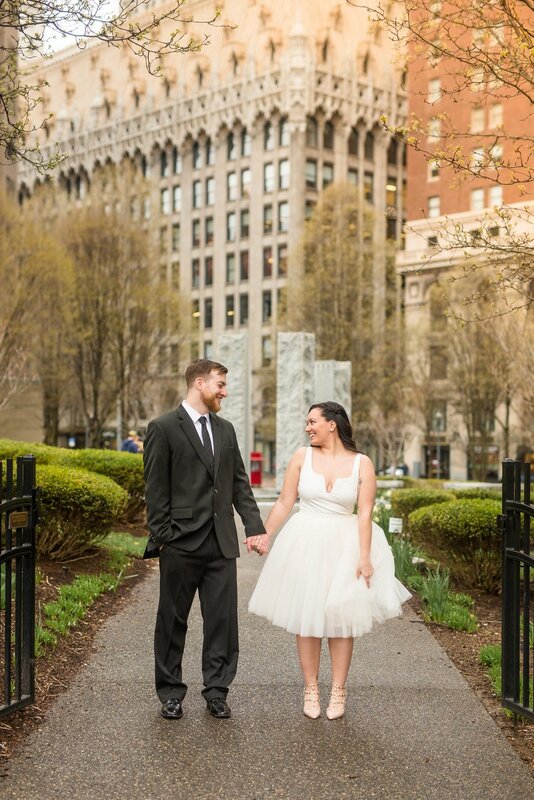 We decided to allocate the majority of our budget to those three categories, and then do the best we could with other expenses associated with our day. And to be honest? I’m SO glad we set those priorities from the get-go, because it helped drive our decisions for many of the other choices related to our wedding day. For example, we said “no” to floral centerpieces and created them ourselves. We said “no” to a big cake and got a small one for us to share, with sheet cakes for guests in the back. 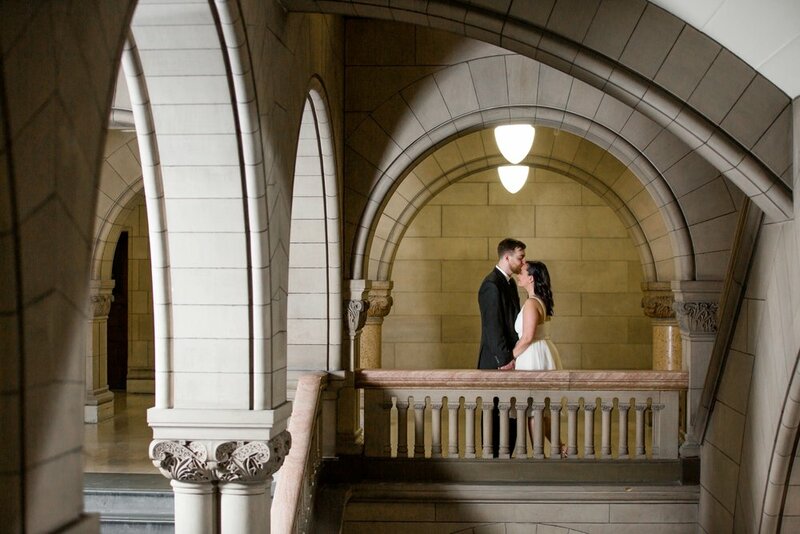 We said “no” to a lot more other things, too, but it allowed us to say “yes” to things like our dream venue, an amazing photographer, and an unforgettable honeymoon in Disney. As a sort-of side note, something else that was a priority to us was marriage counseling, which was something we budgeted for and pursued in the months leading up to our wedding day (yes – before we were married). 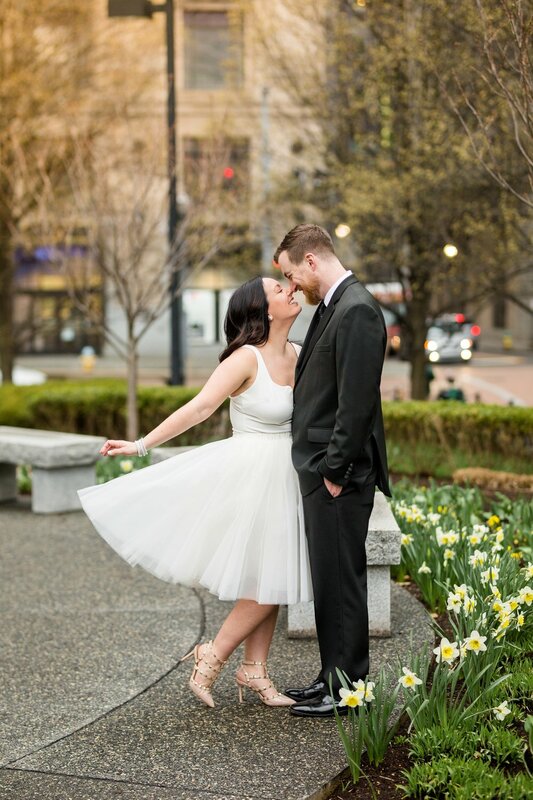 We knew that, while we could put tons and tons of effort into our wedding day, if we didn’t focus on building a solid foundation for our marriage from the start, all of our wedding planning would be in vain! 3. What should we expect to spend on quality vendors? It’s important to know what seasoned vendors in your area charge before deciding on a budget for your wedding day. If photography is one of the priorities for your wedding because you know it’s one of the few things you’ll have once your wedding day is over, know what a quality, seasoned photographer charges in your area, and make that a priority in your budget. In contrast, even if something is not a priority – for example, your cake – know what the going rate is for a seasoned baker anyways, so you can know what to expect to allocate in your budget for someone who might be newer to baking, or even to a friend who might be interested in helping! 4. Are there any connections who can help us with the parts of the day we’re willing to compromise on? Speaking of a friend baking your cake – if there are parts of the day you’re willing to compromise on that aren’t a part of your “big three” (or whatever number) priorities, consider your connections. 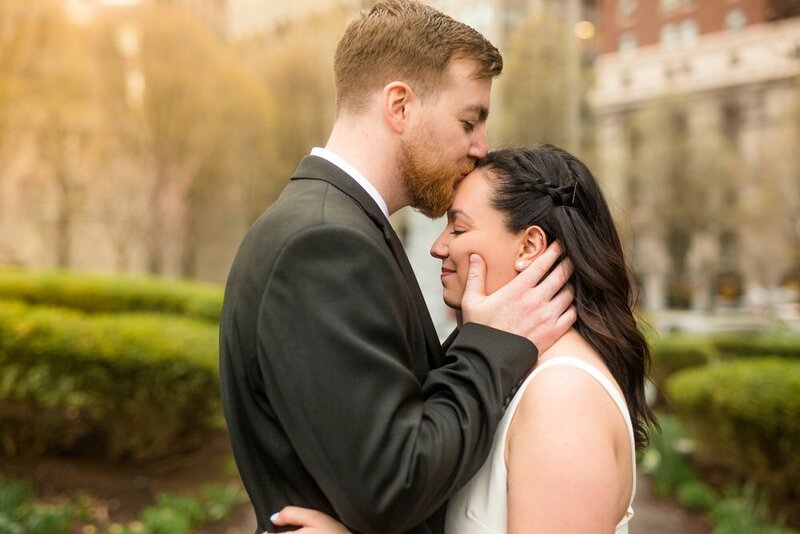 We were blessed to have connections with a caterer who was willing to give us a friends and family discount, as well as a florist who pretty much did our wedding flowers at cost (just because she loves arranging flowers!). But here’s a BIG tip within this question: never expect someone to do something for you for free, or even discounted. Many people who want to “break in” to the wedding market (who may have another full time job) are willing to do things a bit cheaper than those whose full time income comes from bookings, which is totally fine! But it can be tough when someone asks you to give a discount for a service or product that literally puts food on their family’s table. 5. What can we actually spend? It’s one thing knowing how much a service or product costs, but it’s a whole ‘nother ballgame knowing how much you can actually spend for that service or product! Knowing your priorities, knowing how much your “priority” services/products cost, and knowing how much you have left to spend on your “compromise” services and products will give you a rough idea of what you can actually spend on your wedding day. The keys here are to be realistic and to know what you feel comfortable spending. And now that you’re prepared to begin planning - happy planning! If you’re in need of some additional resources to help with your wedding planning and preparation, feel free to scroll through the blog archives for more tips, tricks, and advice related to wedding photography and behind! Choosing a wedding venue is typically the first thing you’ll do after getting engaged – which totally makes sense! 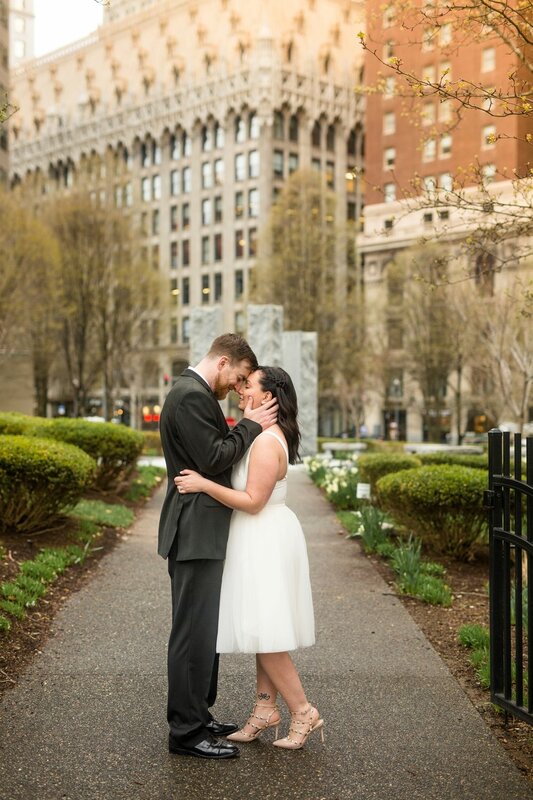 Venues tend to book up super fast (especially in the spring, summer, and fall here in Pittsburgh), so most couples feel the pressure to make sure they lock one in for the season they want quickly! But before you commit to a venue, a word to the wise: be careful not to book too fast, without getting the most important pieces of information from your list of potential venues. 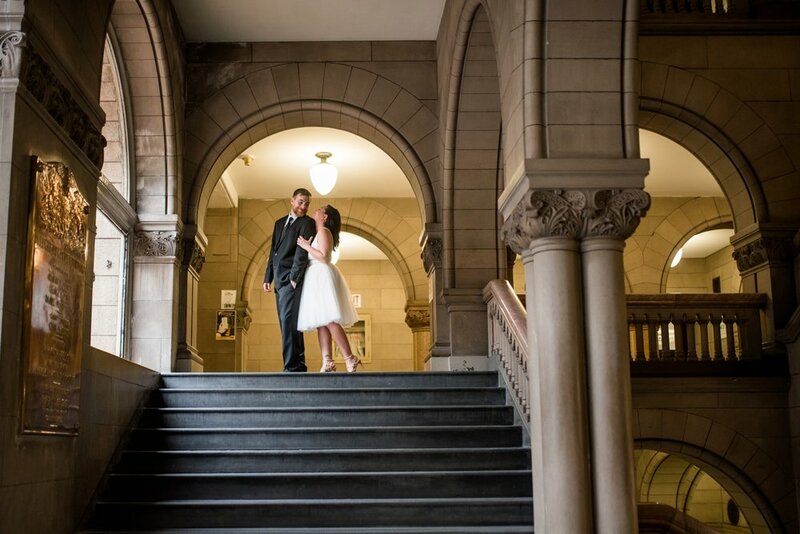 There are six specific things that I often see overlooked when couples book their venues that are important to remember before signing on the dotted line! If it rains on your wedding day (God forbid! ), are you happy with the rain plan your venue provides? Do they have a rain plan? Will it cost extra? 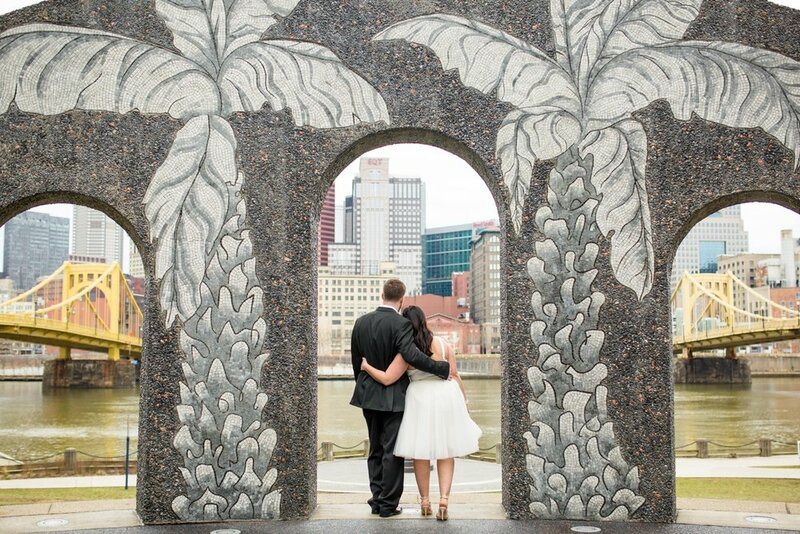 Where will the ceremony be moved to, if you were planning on an outdoor space to say your vows? And are you okay with that option? 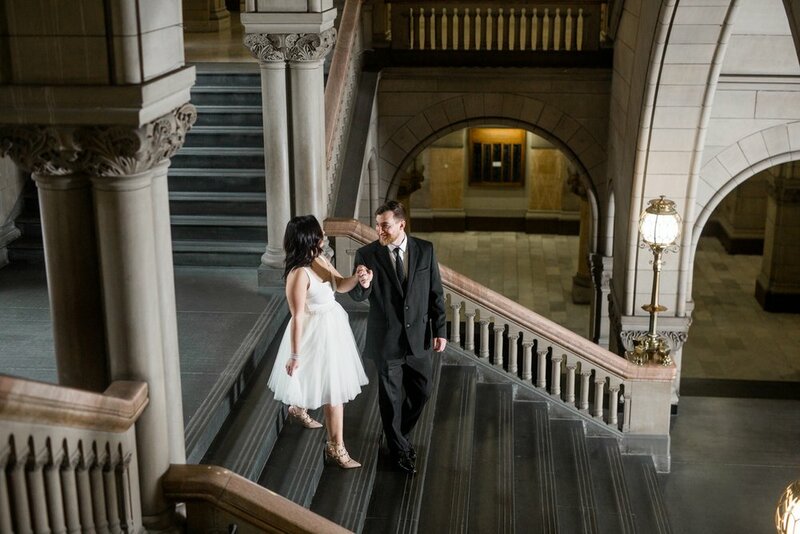 Are there any locations you could use for photos if there’s a downpour on your day? (Overhangs, indoor spaces, etc.) It’s important to have an idea of the rain plan before you book so you can make sure you’re okay with it, in the case of inclement weather! Are all of your wedding day events (getting ready, ceremony, pictures, reception) taking place in the same location, or will you be driving between locations for different parts of your wedding day? 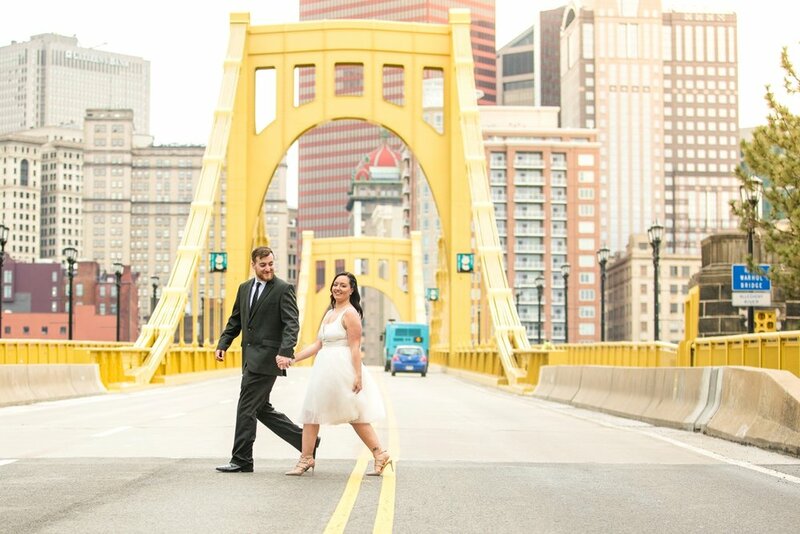 From personal experience, one of the BEST decisions we made in regards to our wedding day was the decision to have everything happen in one central location – which meant no traveling between different locations. 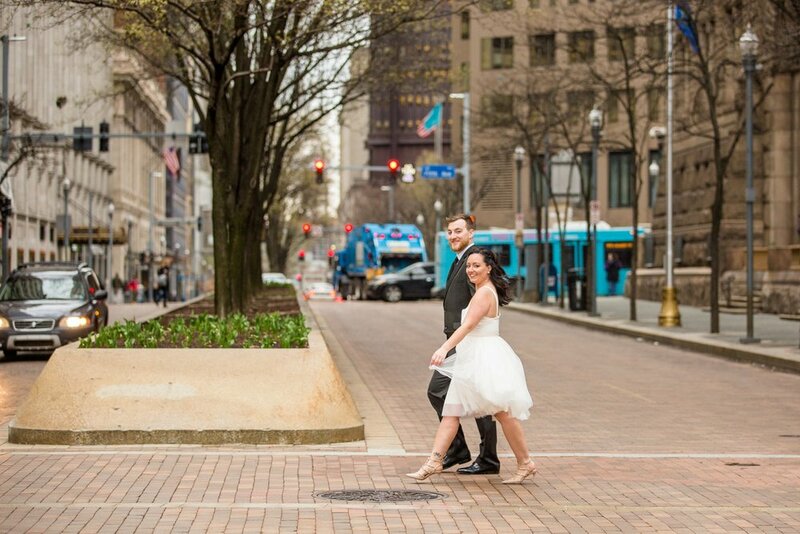 This reduced stress, was cost effective (we didn’t have to pay for additional transportation, or pay our photographer for a 20-40 minute drive), and saved a ton of time! 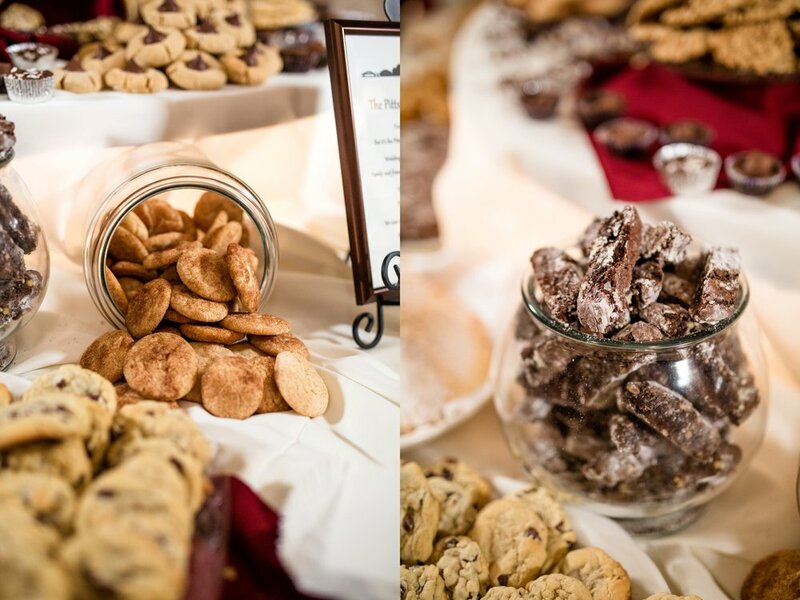 Does your wedding venue allow you to choose your own vendors, or does it require you to pick from a pre-made list? Many wedding venues have working relationships with vendors local to their area, and if they love working with them, they’ll add them to a list of preferred vendors. While many venues will allow you to bring in other venues and only offer the list as a guide, some venues will require you to choose from those specific vendors. Which is great – unless you have another company in mind for that specific vendor category. Be sure to ask so you aren’t caught off guard after already signing a contract! 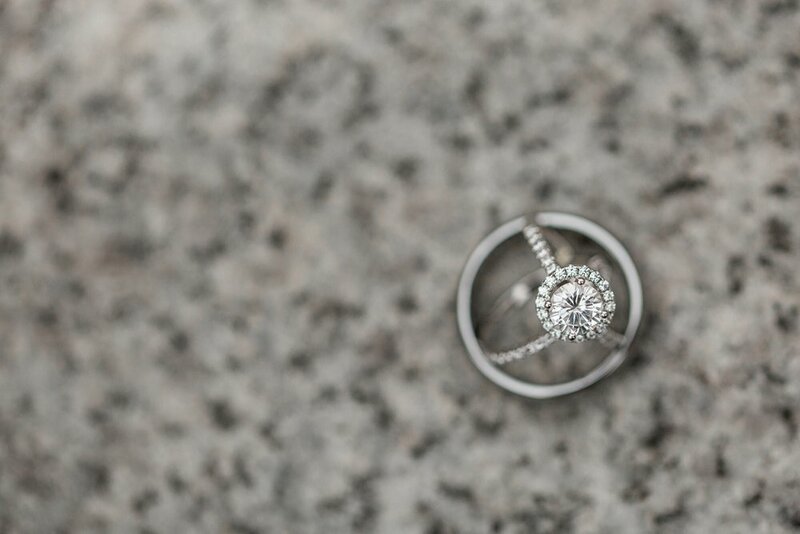 This might seem like an odd one to throw in, but it’s one of the first things I look for when I’m checking out a venue as a wedding photographer! Why? Many times, portraits of the bridal party and bride and groom will take place at times of the day that aren’t typically known to be the best for photos (a few hours before sunset is typically the best time, while mid day and mid afternoon can be the brightest/most unflattering time for portraits!). Having a plethora of shade to work with for mid-day portraits ensures that your photos will be evenly lit and flattering! Where is your wedding venue located in proximity to where most of your guests will be coming from? Or, if the majority of your guests are coming in from out of town, is your venue within close proximity to hotels in the area? 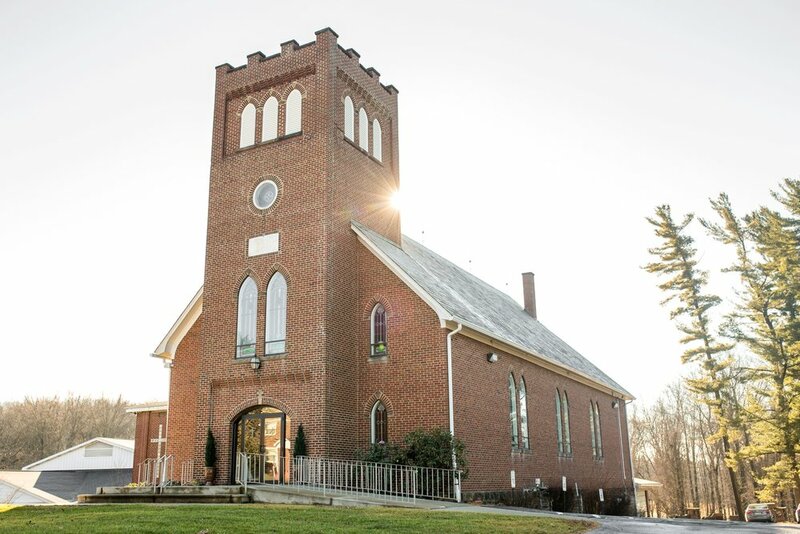 Some wedding venues are far out in the middle of nowhere, which means lots of extra driving. If you have a lot of guests coming in from out of town, consider choosing a venue within close(r) proximity to a hotel to accommodate them! If you are decorating parts of your ceremony/reception, when are you allowed to come in and start decorating? And likewise, if you are required to clean up the decorations from your own venue, how much time will you be given to do so? My husband and I opted to get married on a Friday so that we had the entire day before to set up! The couple whose wedding was held at the same venue the next day only had that very day to set up their décor. For us – we didn’t want to have to deal with that on our wedding day. We just wanted to relax and be present with friends, family, and each other! The topic of a “first look” is often highly debated among brides and wedding professionals alike. 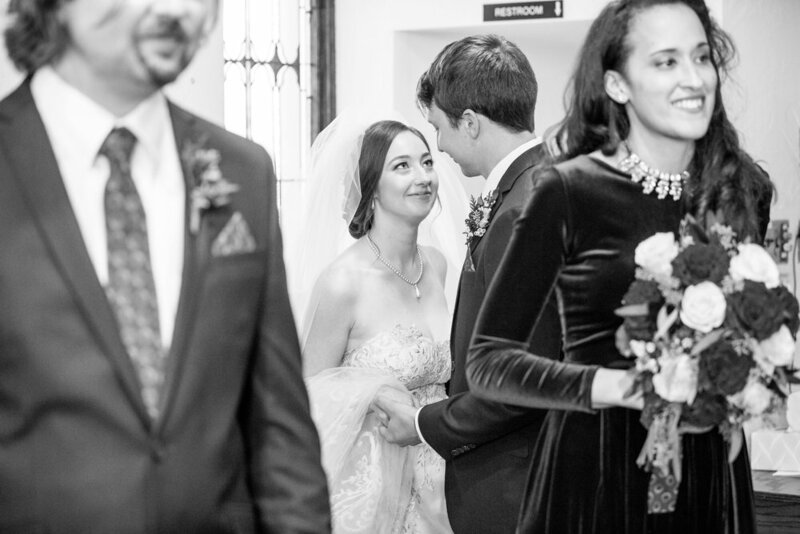 If you’re unfamiliar with what a “first look” is, essentially, it is where the bride and groom plan a time before the ceremony to see each other – just the two of them. But before we move on, a quick disclaimer: the very last thing I ever want to do when talking about a first look is make someone feel bad for choosing to opt for a more traditional route of the groom seeing the bride for the first time while walking down the aisle. 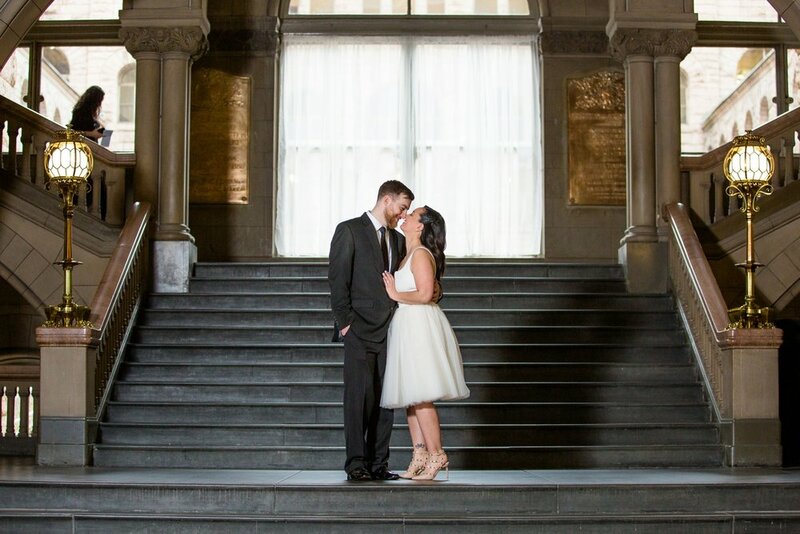 Heck, my husband and I opted to not have a first look, because we both decided that we wanted to keep that aspect of our day a bit more traditional! But with that being said, I do want to share some pros and cons of a first look to help those who might be on the fence! You’ll have more time together. This is a HUGE one, and one I wish I would’ve considered going into my own wedding day! On your wedding day, you’ll come down the aisle, get married, jump straight into portraits, then jump straight into the reception – there’s barely any time to have a relaxed moment together. 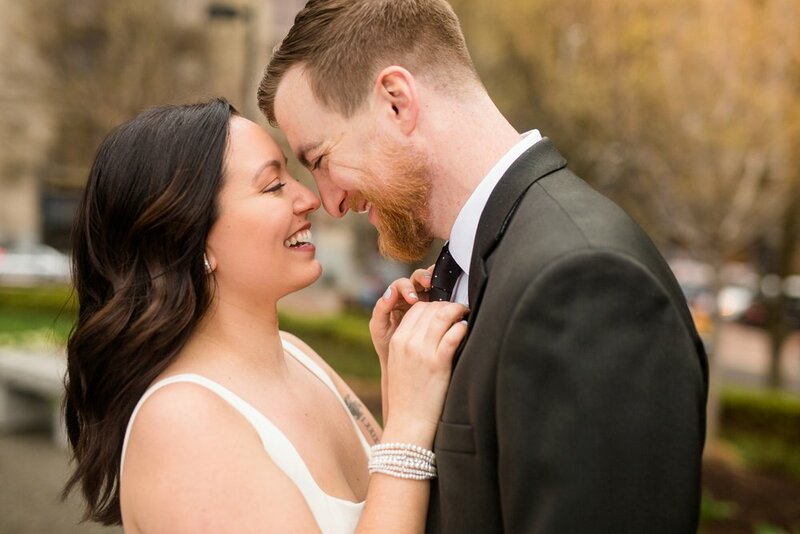 But with a first look, you’ll get the majority of your photos done before the ceremony, and will therefore have much more time to enjoy just being together (plus, you’ll get to attend cocktail hour – which leads me to my next point!). You’ll get to spend more time with your guests. If the majority of your photos take place before the ceremony, you’ll most likely be able to attend the majority of (or part of!) your cocktail hour! This is a great way to make sure you get to talk with the majority of your guests and enjoy the party you worked so hard to plan! I’m naturally more of an introvert, so being in front of a crowd of people gives me a little bit of anxiety. If you’re like me, consider doing a first look. 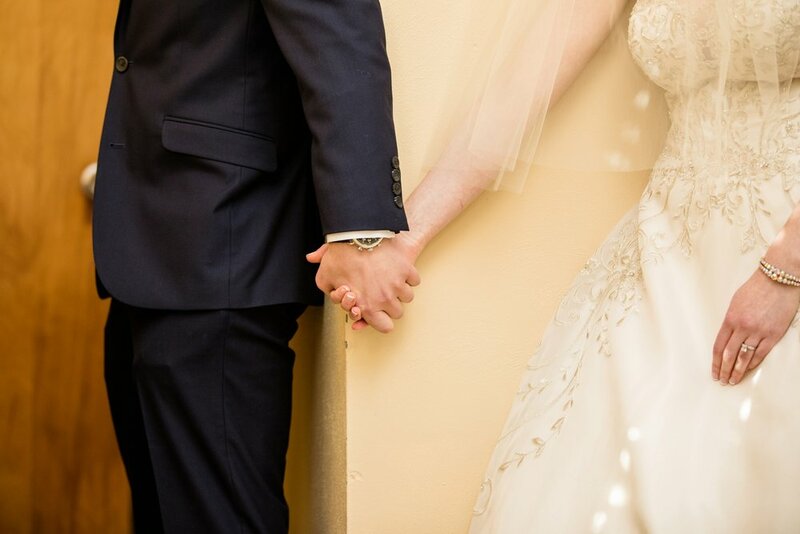 You’ll get to experience that moment together – just the two of you (plus your photographer, hopefully from afar ;) ) – without anyone else around. There’s no pressure to react a certain way, no onlookers, just a private moment between the two of you. You’ll have more time for portraits! Sometimes on a wedding day, things run behind. 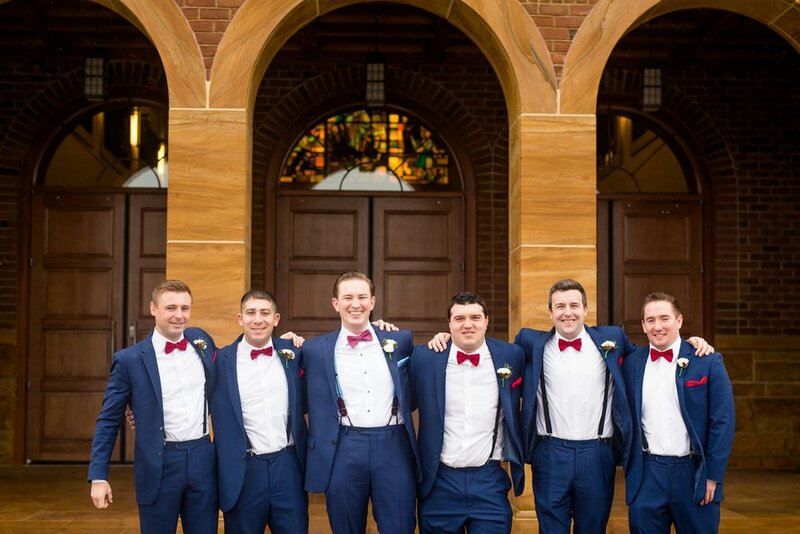 The ceremony goes a little over, the receiving line is unaccounted for in the official timeline, or the transportation to the reception takes a bit longer than expected – which all cut into photo time. 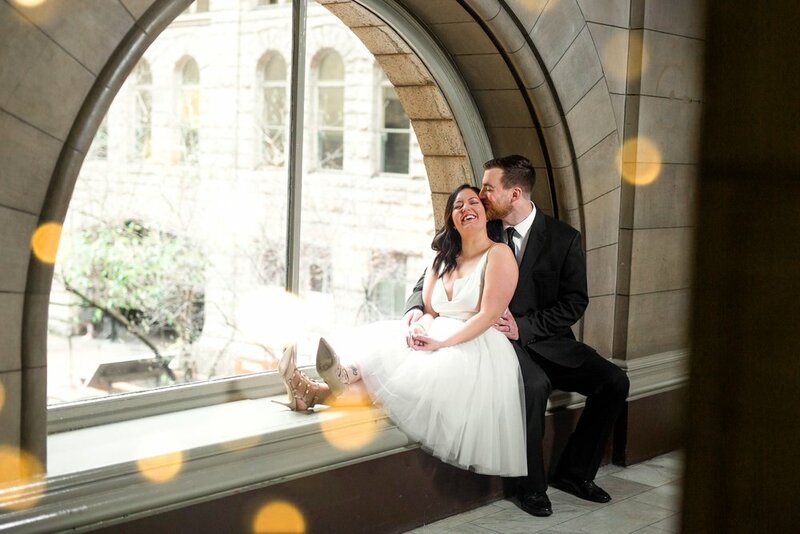 Having your photos taken before the ceremony means that you can plan a bigger time chunk without having to worry about everything running behind and arriving late to your reception or making guests wait for you! *As a side note, if you’re getting married in the winter months, the sun will set a bit earlier in the day. Make sure you pay attention to when your photo time will take place in relation to when the sun sets so you aren’t taking photos in the dark! 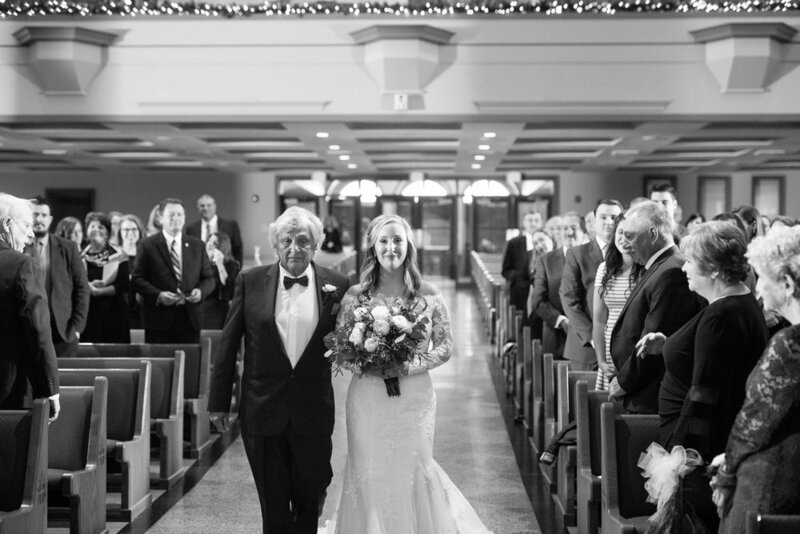 Your fiancé will see you before the ceremony, so the “down the aisle” moment will be a little different. It’s true, that moment down the aisle you’ve always been dreaming of may feel a bit different since you will have already seen each other. You’ll have to start getting ready earlier in the day. With a first look, you’ll need to be “photo ready” earlier, which means you’ll have to start getting ready earlier. It can be helpful to ask your photographer when he/she thinks the first look should happen, based on what time the ceremony is set to begin. Then, you’ll be able to ask your hair and makeup artists how much time hair and makeup will take, and when you will need to start getting ready. Lighting during the first look isn’t always ideal. The best time of day for photos is a few hours after sunrise, or a few hours before sunset. The biggest thing I get hung up on with a first look is the light! Most first looks happen in the middle of the day, when the light is harsh, so sometimes it’s tough to find a good spot with flattering light – especially for photos with large groups of people (like a bridal party!). First looks have both their pros and cons, but when it comes down to it, all that really matters is what you want your wedding day to look like. If you want a first look, do it. If you don’t want a first look, don’t do it. But whatever you do, make sure you weigh your options so you can make an educated decision either way! Let’s just say it like it is: there is SO MUCH TO REMEMBER when you are a bride. Keeping track of vendors, decor, family members, bridesmaids, groomsmen - the day of a wedding can feel like a complete blur! One of my biggest goals as a wedding photographer is to help my brides and to take things off their plate that have the potential to be stressors. When I arrive onsite on a wedding day to a bridal getting ready suite, there are so many different things going on! Makeup, hair, lunch, steaming the bridesmaid dresses, writing speeches and vows - not to mention taking the time to actually enjoy yourself! The one thing that I don’t want any of my brides to have to do is stop everything just to look for her details for me to photograph! A great way to not have to worry about gathering all of your items frantically when there are a million other things going on?! Have all of your items set aside in advance. The day before the wedding (or even the morning of! 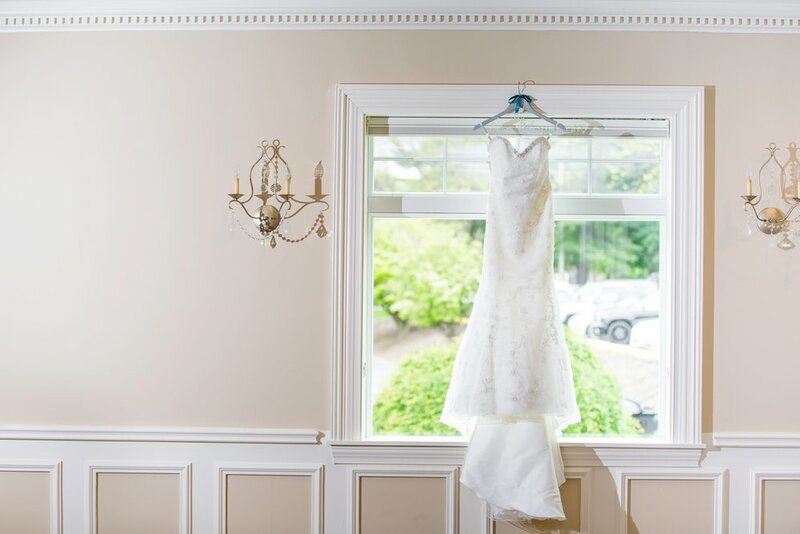 ), put all of the details you’d like to have photographed in a bag or box, with your dress hanging nearby. That way, you won’t have to worry about stopping the world to look for your earrings mid-makeup! GET YOUR FREE PDF CHECKLIST! Want a free, comprehensive PDF Bridal Checklist to add to your wedding binder? Fill out the short form below to download yours as my gift to you! 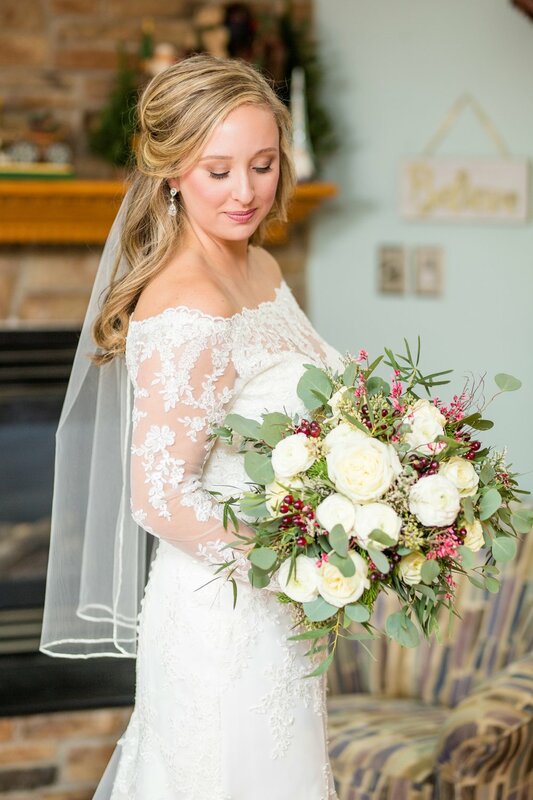 Download your free PDF Bridal Checklist here! A girl from South Africa and a boy from Saxonburg, Pennsylvania meet while at college at Penn State. 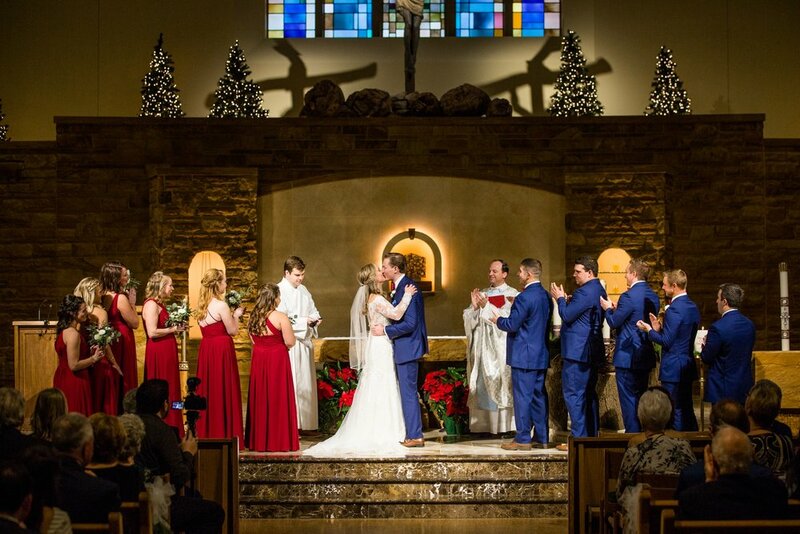 At the time, neither of them know that what once started out as an acquaintance would grow into a life-long relationship built on love and most importantly, on Jesus. After the chatting with Kirsten and Travis over Skype when they first inquired, I knew that they were exactly the type of couple who I love working with most: while, yes, they wanted everything to be beautiful, for the details to be meaningful, and for their friends and family to be a meaningful part of their celebration, their love and life-long commitment was the most important thing about their day. Even on their wedding day, they demonstrated their desire to love and serve each other by washing each other’s feet, like Jesus washed his disciples feet (if you’re wondering what the heck that means, click here). The celebration continued at Cooper Hall (at the Saxonburg Museum) where firefly lights lit up the reception space. 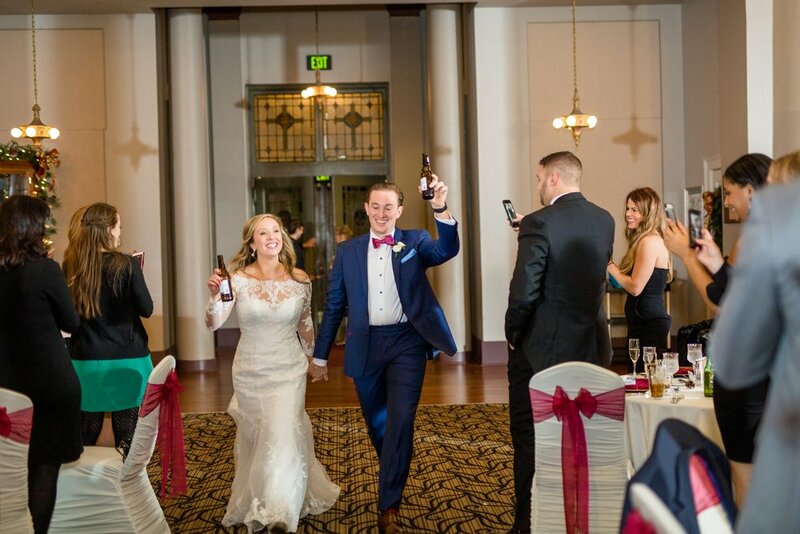 One of my favorite parts of their reception was the “open mic” toasts. Kirsten and Travis set aside about 30 minutes for anyone to give a little toast, and so many of their amazing friends and family did, from all over the world. And really, their stories of hospitality and kindness didn’t surprise me. 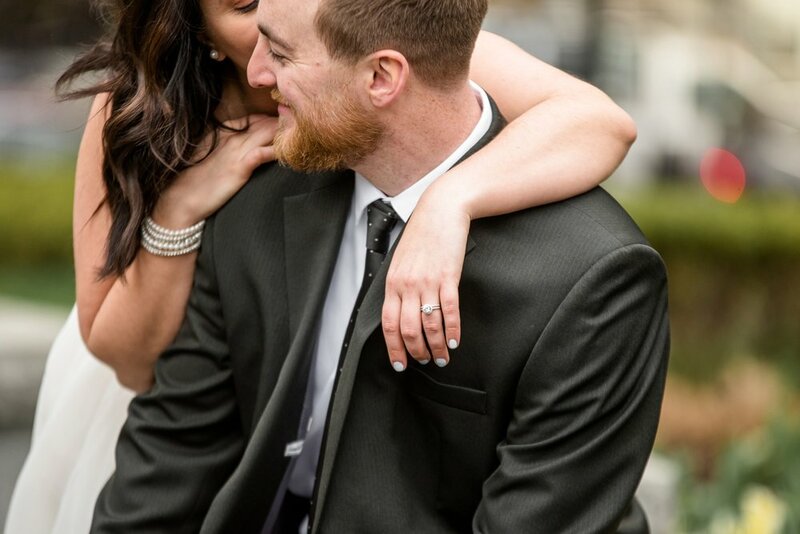 Having spent just a few months communicating via email, phone, and Skype with these two, it’s easy to tell they have a supernatural love for those placed in their paths! 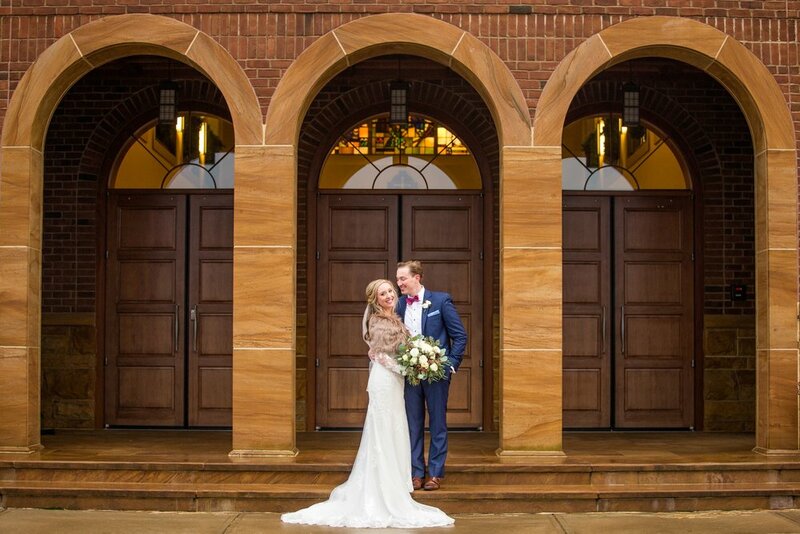 Kirsten and Travis, what an incredible honor it was to be a part of your day! I know your marriage is going to shine so brightly in this world. And without further ado - here is the story of their day! A special thanks to my second photographer, Taylor Dymond! 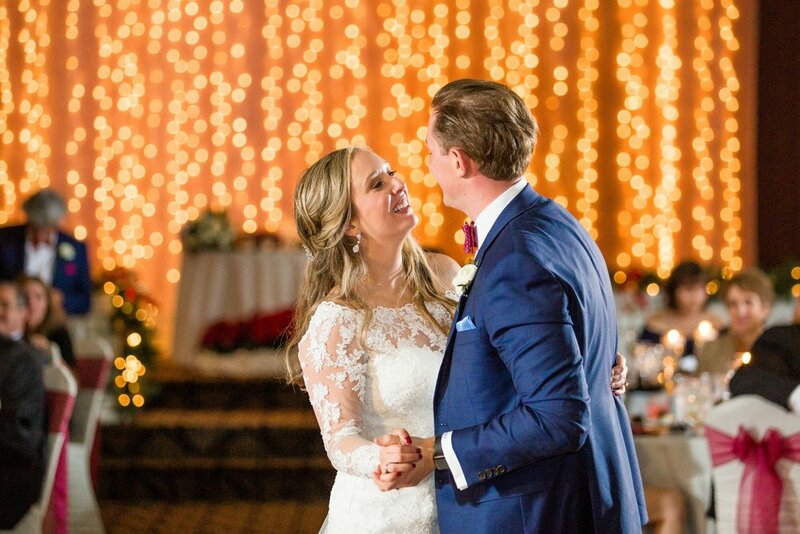 A Christmas-time wedding with a couple who loves Disney: does it get any better?! For those of you who might not know, my husband and I are HUGE Disney fans, and even moreso fans of Disney’s Boardwalk Resort - which is where we spent our honeymoon in August of 2015. When I found out that Patrick had proposed to Chiara AT Disney’s Boardwalk Resort - I think I almost fell out of my chair. I think we were destined to work together! And to top it off - I found out that Nick and I were going to be in Orlando at the same time as Chiara and Patrick - literally right after their wedding. And we almost stayed at the same resort as them! (The Boardwalk!) Talk about a small world! We joined in on Chiara and Patrick’s wedding day at Chiara’s parents’ house, where Chiara and her bridesmaids were getting their hair and makeup done. 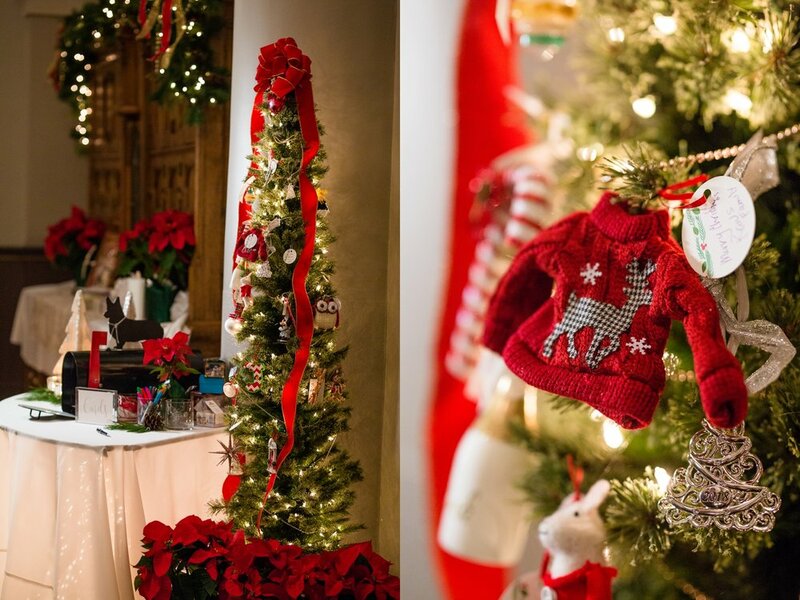 The house was full of Christmas trees - each decorated with a different theme - and even though it was a dreary day, there was an endless supply of beautiful backdrops right within Chiara’s parents’ home! 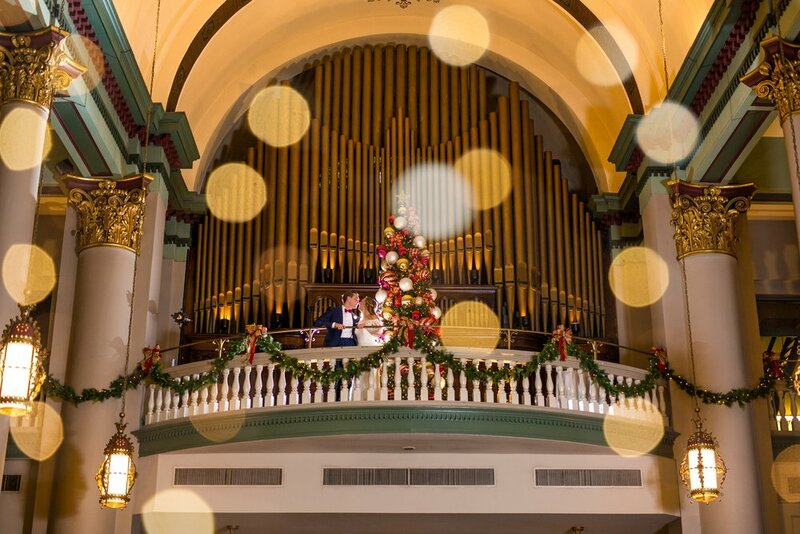 Their ceremony took place at Saints John & Paul Catholic Church in Wexford, with their reception at the Grand Hall at the Priory on the North Side of Pittsburgh, which was decorated to Christmas perfection. 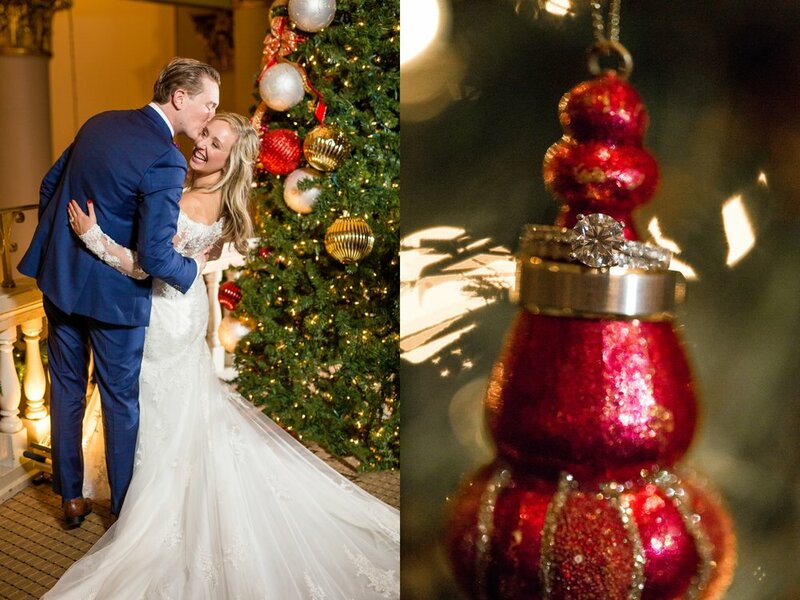 Trees, lights, wreaths, and candles dotted the reception space, creating a warm, inviting atmosphere for guests - which also doubled as beautiful backdrops for Chiara and Patrick’s portraits! Santa Clause even made a surprise appearance near the end of dinner to say congratulations and dance with the bride! Chiara and Patrick, thank you for the huge, incredible honor of being a part of your wedding day! You were a joy to work with, and we are so thankful to know you both!